1. It’s raw Los Angeles. Live and uncut. 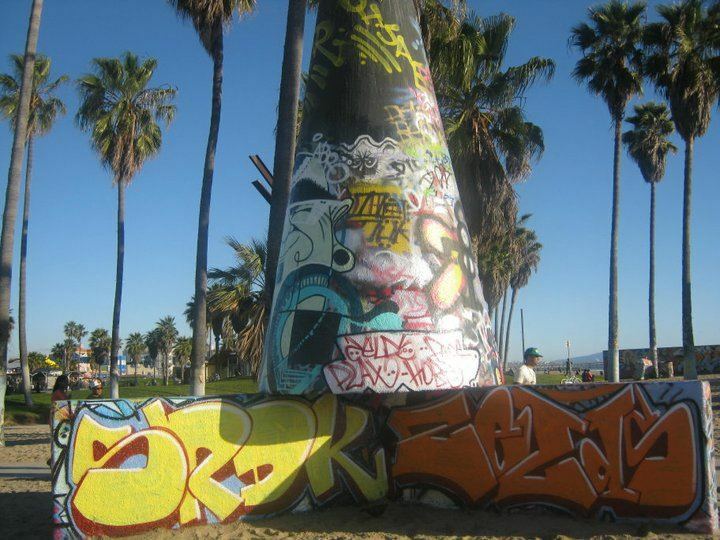 If you want to see L.A. for more than what it is in film, Venice beach will show you a city trafficked with color, class, and the co-existence of these worlds in a way that’s as fascinating as it is mind-boggling. Make no mistake about it: this is not the beach from Baywatch. It’s a carnivalesque amalgamation of culture. Naturally, this means the boardwalk is filled with a lot of different characters! This includes break-dancers, painters, graffiti writers, hip hop artists, country singers, marijuana doctors, and so, so much more. 2. Play or pass. The choice is yours. Whether you want to sift through the marvels of the boardwalk or enjoy some solo time at the shore, Venice beach has got you covered. Either way, you really can’t lose. Ishmael and I visited the beach on a Saturday, and after kicking back on the sand, we made our way to the boardwalk to watch an awesome performance by the local high-flying crew pictured above. It was fantastic, but I forgot to bring dollar bills to tip them! Please don’t make the same mistake. The crew members work hard to put on a memorable show and more than earn their way towards a little bit of support to keep it going. As I said though, you can’t lose. True to the popular west-coast catch-phrase, VB is actually located in the West side of Los Angeles. Right on a coast, even! While this might seem like a no-brainer, you’d be surprised at how many people in L.A. don’t know a thing about the city’s geography. Of course, to be fair L.A.’s one of the most difficult cities to navigate in the U.S, and certainly the most complicated of California. True to its roots in the desert, the city’s streets and boulevards are spread out on all sides like the tentacles of a frantic jellyfish. Fortunately though, rather than leading to a fatal infection, L.A.’s tentacles lead only to a fatal affection in Venice beach. 4. It’s the beach of L.A.! 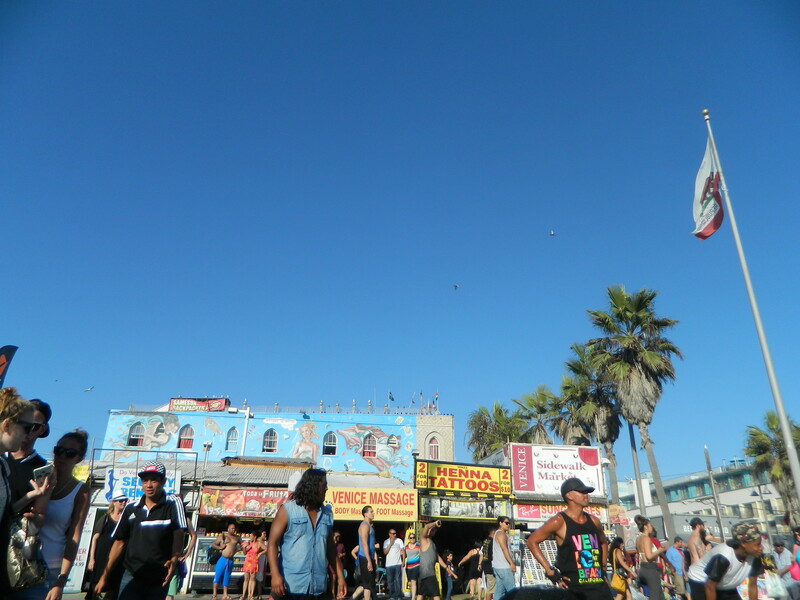 While Santa Monica beach is a lot of fun in its own right, I personally find Venice beach to be friendlier. Who knows, but I think the friendliness is just built into VB considering its boardwalk is home to everything from arts and craft, to photo-ops with celebrity lookalikes, to fortune tellers and stencil artists, and on! Of course, don’t take my word for it. See both beaches for yourself. Perhaps I’ll see you there! To read more about the beach, check out its website. Naturally, I only mean that half-heartedly. Quit reading and get out there already!